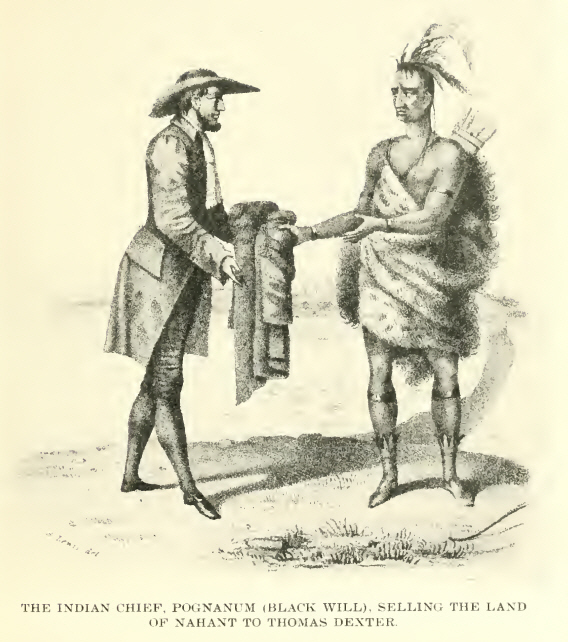 Thomas DEXTER Sr. (1594 – 1676) was Alex’s 11th Great Grandfather; one of 4,096 in this generation of the Shaw line. 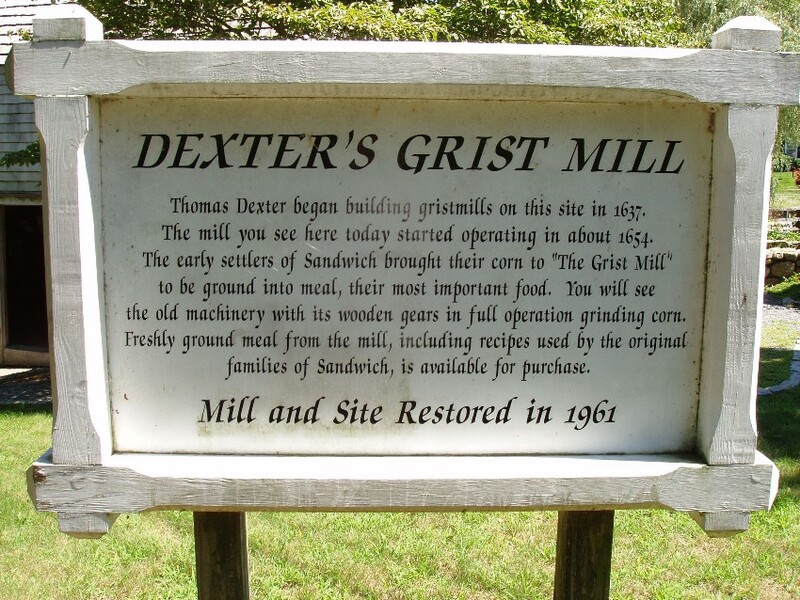 Thomas Dexter Sr. was born between 1594 and 1606 in Great Bowden, Leicestershire, England. Alternatively, he was born 24 Jan 1594 in Bristol, Somerset, England. His parents were Thomas DEXTER and Mary TOPLEY. He may have married 30 Jan 1612/13 Great Bowden, Leicestershire, England to Mary HARPER. Thomas died between 26 Oct 1676 and 9 Feb 1677 in Boston, Middlesex, Mass. and is buried in Kings Chapel Cemetery, Boston. The identify of his wife(s) is not known. Mary Fuller may have been born in 1597 in Bristol, Somerset, England. Mary died about 1629. Mary Harper may have been born 25 Dec 1590 in Great Bowden, Leicestershire, England. Captain James Oliver 1680 Barnstable, Barnstable, Mass. 8 Nov 1648 Sandwich, Barnstable, Mass 30 Dec 1686 Sandwich, Barnstable, Mass. 1653 8 May 1694 Rochester, Plymouth, Mass. Thomas’ father Thomas Dexter was born in 1568 in Bristol, Somerset, England. Thomas most likely died in Somerset, England. Thomas’ mother Mary Topley was born 1572 in England. Mary died in 1639 in Boston, Middlesex, Mass. Genealogy of the Dexter Family in America, – “Of the early life of Thomas Dexter, the first ancestor of this line of Dexters to arrive in this country, but little is known. He came either with Mr. Endicott in 1629 or in the fleet with Governor Winthrop in 1630. He brought with him three of his children at least, and several servants. hut as there is no record of his wife, it is presumed that she died before they sailed from England. There is some reason to believe that they belonged in the neighborhood of Bristol, England. “for in the years that followed he had considerable dealing with people who lived there. In 1640 he gave a mortgage of his 500-acre farm at Lynn to Humphrey Hooke, alderman of Bristol, England. In 1630, in the prime of life and with ample means, he settled on a farm of 800 acres in the town of Lynn. Mass. He had many servants, and was called “Farmer Dexter.” The house was on the west side of the Saugus River, about where the iron works were afterward erected. 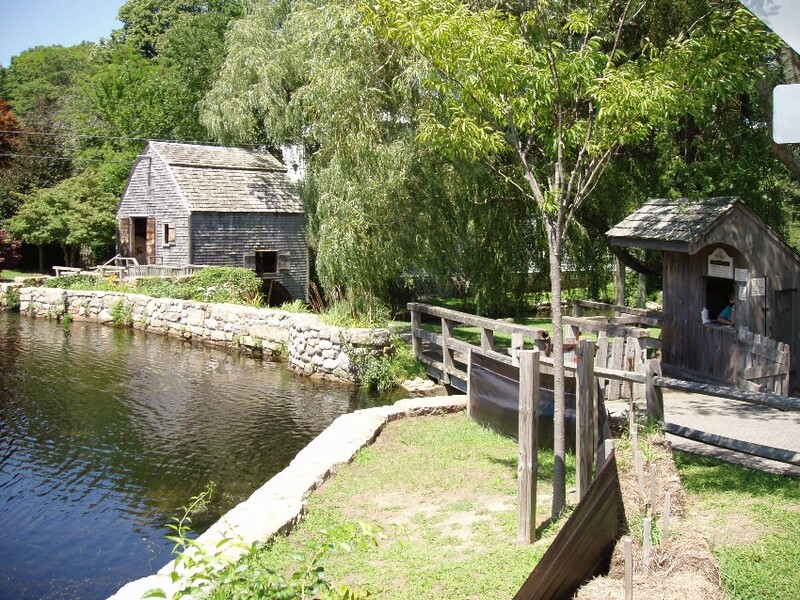 In 1633 he built a bridge over the Saugus River and stretched a weir across it, and a little later built a mill nearby. He was greatly interested in starting the iron works, which were the first to be built in this section of the country, getting the iron ore from the Cape. He interested English capital in the enterprise and became the general manager. Some years later, becoming convinced that the enterprise could not prove satisfactory, he withdrew. He became a freeman 18 May 1631, but soon lost the honor, for he was disfranchised on the 4th of March, 1633. The jury gave Mr. Dexter a verdict of £10. In 1633 the court ordered Mr. Dexter to be set in the bilboes, disfranchised and fined £10 for speaking reproachful and seditious words against the government here established. Mr. Dexter, having been insulted by Samuel Hutchinson, met him one day on the road, “and jumping from his horse bestowed about twenty blows on the head and shoulders of Hutchinson, to the no small danger or deray of his senses as well as sensibilities.” These facts would indicate that Mr. Dexter was not a meek man. In 1637 he and nine others obtained from the Plymouth Colony court a grant of the township of Sandwich. 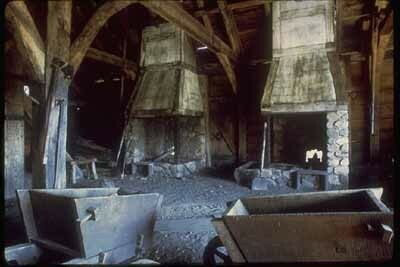 He went there and built the first grist mill. He did not remain there long, however, for in 1638, he had 350 acres assigned to him as one of the inhabitants of Lynn. He remained in Lynn until 1646. About this time he purchased two farms in Barnstable, one adjoining to the mill-stream and afterwards occupied by his son William, and the other farm on the northeastern declivity of ”Scorton Hill.” His dwelling’ was situated on the north side of the old county road, and commanded an extensive prospect of the country for miles around. Here he lived a quieter life, yet could not keep entirely free from lawsuits, for in 1648 he had no less than six lawsuits in court. all decided in his favor. His greatest lawsuit was with the inhabitants of Lynn over the ownership of the land where Nahant now is. This land Mr. Dexter bought of the Indian chief Pognannm, or “Black Will.” paying- for the same a suit of good clothes. This he fenced in and used it to pasture his cows. The title to this was disputed by the other inhabitants (1657) who, if his claim was denied, would share in the division of the land. The result was a defeat for him and his heirs. although they kept it in court over thirty-eight years. In 1657 Mr. Dexter took the oath of fidelity. He was admitted freeman of Plymouth Colony on June 1. 1658. For the next eighteen years he lived a quiet, retired life on his farm. During the later years of his life he appears to have conveyed his mill and his large real estate in Sandwich to his son Thomas, Jr. and his West Barnstable farm to his son William. retaining his Scorton Hill farm and his personal estate for his own use. He sold this last mentioned farm in 1676. to William Troope (Throope). He then removed to Boston that he might spend the remainder of his days with his daughter, who was the wife of Captain Oliver. He died there in 1677, and was buried in the Oliver tomb in King’s Chapel burying-ground. 20 Aug 1640, Thomas Dexter of Lynn, yeoman, mortgaged the eight hundred acre farm in Lynn and twenty head of cattle to Humphrey Hooke for payment of a £500 judgment against Dexter [ Lechford 285-86]. This debt was not easily paid, and Aspinwall recorded that “Alderman Hooke of Bristol, merchant” and “Tho: Dexter of Linn” in a difference over £440 due to Hooke agreed to have four men value “lands towards or in satisfaction of the said debt” 10 September 1643. 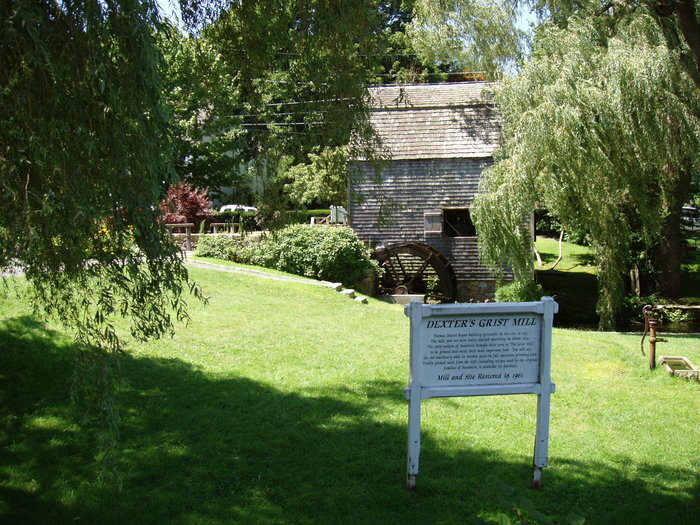 Thomas Dexter was an early investor in the Saugus Ironworks, the first ironworks in North America, a great technological achievement in that time and place. It was built about 1646, closed by 1675, and was built near some ore deposits, as well as the Saugus River, which provided power to the ironworks. 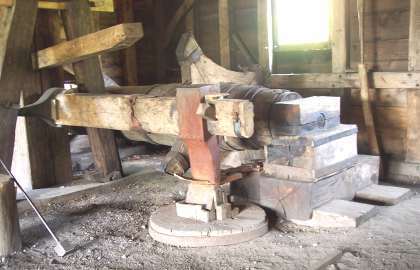 The site included a dam that provided power for forging, a blast furnace with a bellows, a reverbatory furnace, a trip-hammer forge, and rolling and slitting mills. It produced both cast and wrought iron. One item produced there was nails, which were especially vital because so many new settlements were being built in the wilderness. They milled thin strips of wrought iron, slit these strips, and sold them. The customers then cut the nails and shaped the heads and points. The ironworkers formed a community there known as Hammersmith. 25 Jan 1646/47 – Thomas Dexter of Lynn, yeoman, sold to “Richard Ledder” for the use of the Saugus ironworks, all that land which by reason of a dam now agreed to be made shall overflow and all sufficient ground for a watercourse from the dam to the works to be erected, and also all the land between the ancient watercourse and the next extended flume or watercourse together with five acres and an half of land lying in the cornfield most convenient for the ironworks and also two convenient cartways that is to say one on each side of the premises as by a deed indented bearing date the twenty-seventh of January 1645 more at large appeareth. Jannetje LOZIER‘s father-in-law Alexander Ennis , came to America as a prisoner of war after the Battle of Dunbar. . Sixty-two of the consigned men on the Unity, including Alexander Ennis, were sent to the Saugus Ironworks at Lynn, Massachusetts. He was listed on an inventory of the iron works dated Nov 1653. The inventory was a result of lawsuits resulting from financial diffulties. The Scots were valued at £10 each, though Giffard protested that they were worth twice that amount and some of the Scots more than that. 30 Jun 1657 – At court Thomas Dexter sued the town of Lynn for trespass, claiming that he owned Nahant. Among the many depositions brought in regarding this case, “Christopher Linse” succinctly stated that “Thomas Dexter bought Nahant of Black Will or Duke William, and employed him [Linse] to fence part of it when he lived with Thomas Dexter.” William Winter, aged seventy three years or thereabouts, remembered that “Black Will or Duke William …came to my house (which was two or three miles from Nahant) when Thomas Dexter had bought Nahant of him for a suit of clothes” and asked him what he would give for the land Winter’s house stood on [ EQC 2:43]. The court found for the defendants. Thomas Dexter and his son-in-law Richard Wooddy appealled. grandson soon died and in court in November 1679 “Ensign Ri[chard] Woodde” was named in his place. 25 Apr 1677 – An inventory was sworn 25 April 1677 on the estate of “Thomas Dexter Senior late deceased in Boston and as far as is known” totalling £70 with no land, except “a claim of some lands” at Lynn, which were unvalued. Mary came to America with her father and settled in Lynn. Mary’s second husband Captain James Oliver His parents were Thomas Oliver and Ann [__?__] who came from England in 1632. Thomas, the father was one of the ruling elders and of wide influence in the affairs of the new town. Capt. James was admitted freeman in 1640, was of the artillery company in 1651, was Lieutenant in 1653 and Captain in 1656 and 1666. He was selectman in 1663 and for several years inspector of the port. James was an eminent merchant of Boston. He and Mary had no family, but her father came to live with them, and’ was there in 1677 when he died, and Captain Oliver was one of the administrators of his estate. It is not certainly known whether she came to America with her father or came later. 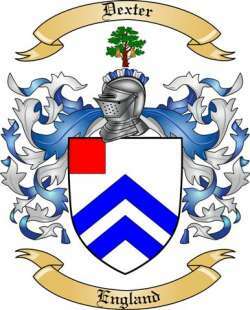 Frances’ husband Sergeant Richard Woodee was born 1620 in Guilford, Surrey, England. His parents were Richard Woodee and Annie [__?__] This name is sometimes spelled Woodde. Richard died 6 Dec 1658 in Massachusetts. The records say that the father and Samuel, Richard, Mary, Martha and Elizabeth were dismissed to Third Church, Boston, in 1673.
i Thomas Woodee, b. 12 Dec 1648; d. 13 Oct 1650.
ii Mary Woodee, b. 21 Aug 1650; m. John Daffern ; three children. iii Martha Woodee, b. 25 Feb 1651/52 or 25 Nov 1651 in Roxbury, Suffolk, Mass; d. 21 Apr 1713 in Boston, Mass. Martha was a widow in 1695.
iv Elizabeth Woodee, b. 19 Sep 1653.
v. Ann Woodee, b. 12 Jul 1655.
vi. Samuel Woodee, b. 11 Sep 1656.
vii. Richard Woodee, b. 3 Dec 1658.
viii. Sarah Woodee, b. 26 Mar 1661; d. 23 Aug 1661. William’s wife Elizabeth Vincent was born 1634 in England. Her parents were John VINCENT and Hannah SMITH. Elizabeth died 1694 in Barnstable, Barnstable, Mass. William came to America with his father, and was in Barnstable in 1650. He lived on one of the two farms that his father bought. He took oath in Barnstable in 1657. He removed to Rochester, Mass. about 1679 and died there in 1694. He was one of a party of thirty, which included such men as William Bradford, Kenelem Winslow, Thomas Hinckley and Rev. Samuel Arnold, who became the grantees of the town of Rochester. When he died he owned considerable land both in Barnstable and in Rochester which he gave to his children, as follows : James Dexter, Thomas Dexter and John Dexter had the Rochester lands, while Stephen Dexter, Philip Dexter and Benjamin Dexter had the Barnstable land. The children all went to Rochester except Philip, who removed to Falmouth, Mass., and Stephen, who remained in Barnstable and who was the only one of the name in the town in 1703.
i Mary Dexter, b. 11 Aug 1649 or Jan 1654 in Sandwich, Barnstable, Mass. ; d. 1729 Mass; m. Moses Barlow. Removed to Rochester. ii Stephen Dexter. b. Jan 1654 or May 1657 Barnstable, Mass; d. 1729 Barnstable, Barnstable, Mass, probate 17 Mar 1729/30. m. 27 Apr 1696 to Ann Saunders. Stephen and Ann had ten children born between 1696 and 1714. Stephen spent his whole life in Barnstable and made his home on the farm which was originally his grandfather Thomas’, at Dexter lane. West Barnstable. In 1703 he was the only one of the name left in Barnstable. iii Philip Dexter, b. Sep 1659 Barstable, Barnstable, Mass; d. 10 Jun 1741 Falmouth, Barnstable, Mass. m. Alice Allen; d.1741 Philip and Alice had nine children. At the time of their marriage, Philip and Alice moved to Falmouth, where they spent the remainder of their life. He was miller there many years. At one time he was complained of for’ charging’ too high. But as he was the only miller, the people were dependent upon him. A committee was sent to consult with him. but the record does not reveal the result, but at a later period he was paid by the town £30 for his part of the mill and the land that the pond covered, so it may be that the matter was settled in that way. In 1712 he and Thomas Bowerman were appointed to lay out land of the ”New Purchase” into lots, etc. He was selectman, and also town clerk. iv James Dexter, b. May 1662 Barnstable, Mass,; d. 15 Jul 1694 or 15 Jul 1697 Rochester, Mass; m. Rochester, Mass to Mary Tobey. James and Mary had three children born in Rochester. James went to Rochester with his father. In 1712, after the death of the father, Mary, the daughter, being- a minor over 14, chose Jabez Dexter (a kinsman) for guardian. and Deborah chose Samuel Hunt for her guardian. v. Thomas Dexter, b. Jul 1665; d. 31 July, 1744.; m1. 17 Jul 1695 to Mary Miller and had by her one sone; m2. 1702 to Sarah C. March No issue. The son must have died before his father, for he is not mentioned in his will, and he leaves most of his property to Constant Dexter, who had been brouuht up by him. He gave land to Mary Sherman, wife of William Sherman, who was a daughter of his brother John, lie also gave land to Rose, or Rest, Dexter daughter of his brother John. He gave £3 each to the four daughters of his brother John and to the two daughters of his brother Benjamin. He gave £5 to the church, and all the balance to Constant Dexter, son of his brother Benjamin. vi John Dexter, b. Aug 1668 Barnstable, Barnstable, Mass; d. 31 Jul 1744 Rochester, Plymouth, Mass; m. 1702 to Sarah [__?__] ( – 21 Jan 1755). John and Sarah had seven children born between 1703 and 1724 all born at Rochester. John and Sarah had eleven children. John was called yeoman in 1690. He sold land to Samuel Arnold and John Hammond, and in 1714 to James Winslow, and in 1716 to Thomas Dexter. vii Benjamin Dexter, b. 16 Feb 1670 Barnstable, Mass; d. 18 May 1732 Rochester, Mass. ; m. Sarah Arnold Sarah’s father was Rev. Samuel Arnold, who who was the second minister at Rochester, and also one of the grantees of the town. Her grandfather, Rev. Samuel Arnold, was third minister of Marshfield. Benjamin and Sarah had eleven children, all born in Rochester between 1697 and 1718. Benjamin removed to Rochester with his father. He was a farmer and sold land in 1693 to Moses Barlow, in 1699 to John Hammond, in 1723 to Edward Winslow, in 1715 to John Corning. All of this land was inherited from his father. Benjamin’s estate was valued at £1,047. At his death, his son James Dexter was made guardian of the two young children, Seth and Joanna. 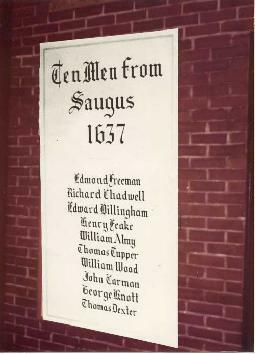 This entry was posted in 13th Generation, Artistic Representation, Historical Site, Immigrant - England, Line - Shaw, Public Office and tagged Lynn, Pognannm “Black Will”, Sandwich Founder, Saugus Iron Works, Set in the bilboes, Ten Men from Saugus 1637. Bookmark the permalink. 8 Responses to Thomas Dexter Sr.